In the Beginner 2 class the gymnasts continue using the skills learned in Beginner 1 and build onto them and their strength. 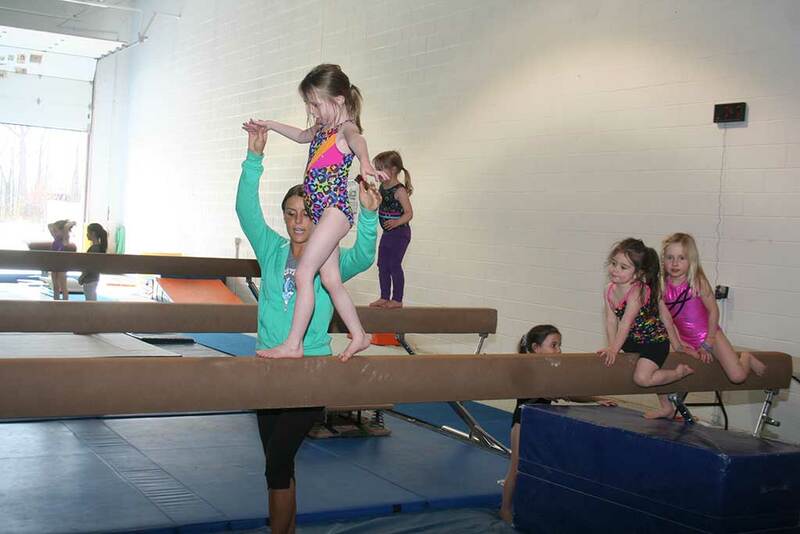 This weekly hour long class consists of all four events and the gymnasts learn round-offs, bridge kick over and the dance aspect of gymnastics (leaps, jumps, etc.). They will learn to do a round off off the vault and the end of the beam. The students will also learn jumps on the beam and start doing turns. They learn how to do more skills including jumping to the higher bar from the low bar. This level is for gymnasts who have some experience and are comfortable on all events.